When I was growing up, my grandmother was an amazing crafter. I saw her create yarn into beautiful afghans, fabric into clothing -- and even bowls! One day we stopped at a little craft store near where I lived. I don't even remember the name of it, but that store was a highlight of my childhood. I discovered the back part of it was a used bookstore. While I enjoyed crafting, the real treasure to me was the dusty stacks of books. Sometimes people use that term lightly, but everything was covered in a thin (or sometimes a thick) layer of dust. They didn't have enough shelves, and there were boxes stacked everywhere. They also bought books, and sometimes the books would arrive straight to the stacks in the same box they came in. It was so fun digging. There were back issues of magazines. As I grew I discovered how much I enjoyed Guideposts Magazine and found issues back to the 1950s. To a 13 year old in 1986, that was ancient history! I was also 13 when this store closed, but I had about five wonderful years shopping there. Another fun find I had there was a stack of Judy Bolton books. My mother had a couple from when she was little. They were priced high for that store (about $3.00 each) so I might only buy one a month or so. After all, they didn't seem to be that popular to the tweens of the 1980s. They had old covers from the 1950s, and just weren't the psychedelic neon colors of my era. Many times I would go to pay and the older proprietor would say that they were running a special on just those books and only take one or two dollars for the dozen books in my stack. Or he would insist on throwing in a couple extra volumes he thought I would enjoy. I still see him in town from time to time. His love for the printed word has not waned, neither has mine. I think of him in a small way as my reading mentor. 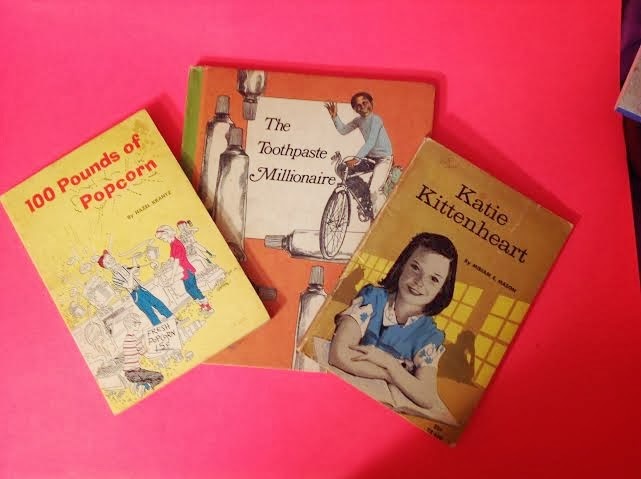 Three of my favorite books from my childhood I purchased there. I read 100 pounds of popcorn nearly a dozen times. I still have the copy I purchased there, and inside is mark it was 25 cents. Another book I loved was The Toothpaste Millionaire where a boy starts his own business selling toothpaste. (I was always an entrepreneur even at a young age. I loved to dream big and the main character in this book hit it big with toothpaste while being in 8th grade!) My favorite chapter book, though was Katie Kittenheart . This book was originally published in 1966 about a sweet girl who was a heroine to all who knew her. While others my age were reading the newest popular books, I was in the depths of a used book store finding treasures for a quarter each. In fact, one year at Christmas, a girl in my class and I decided to exchange gifts at Christmas. 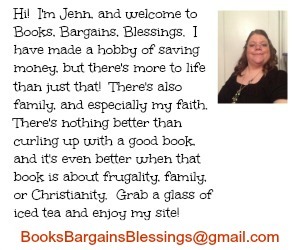 She, too, was a reader, and I was able to get her almost a dozen books because they just so happened to be running a "special" at that bookstore that day and books were 6 for $1. She couldn't believe I found her so many books on horses under our price limit. As an adult I realize the sales, special, and bonuses were likely given because I was a child who loved reading as much as I did -- and still do. It was a very sad day for me when that bookstore closed, and I have many fond memories of it. There will never be a bookshop as wonderful as that one at least in my mind!